** UPDATE – 10:21PM EST ** I just checked my Adsense account and the numbers are updating. Not sure yet if the system is 100% updated. It’s around 10pm EST on July 19th and my Google Adsense information has not updated for at least the last 4 or 5 hours. This is something that I did not notice immediately, but after a couple of hours showing the same earnings, clicks, and impressions, then I started to suspect an issue. Finally, I started researching the problem and even started getting concerned that something was going bad with my specific account. Hi AdSense Publishers, Our engineers are doing some maintenance today and your reporting may be inaccurate for a couple of hours. Of course, your impressions and click data is being collected as usual, and there will be no impact on your earnings. Things just may look slow for a while. I’ll reply here when the maintenance is completed. Sorry for any inconvenience. 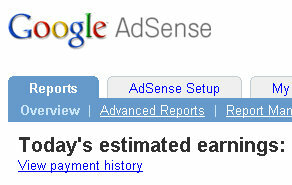 So has anyone seen their Google Adsense data start to come back on?